Alberta Fish and Wildlife officers say they shot and killed a cougar prowling outside Calgary's South Calgary Health Campus this morning for public safety. 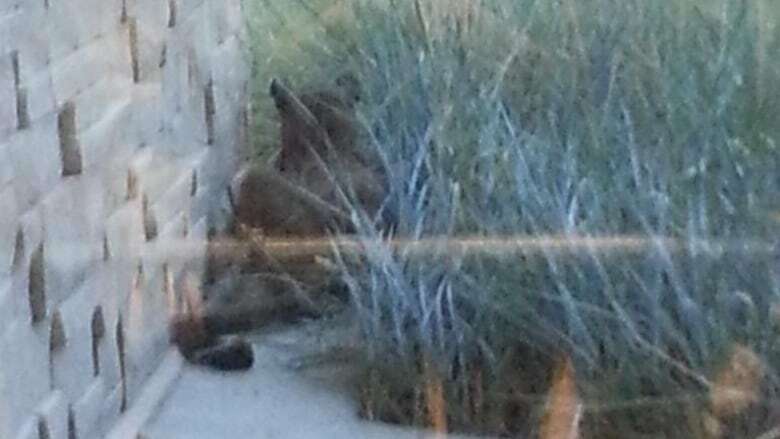 Police and emergency crews responded early Thursday after the large cat was spotted in a public parkade and then near the east entrance to the hospital in the city’s far southeast community of Seton. 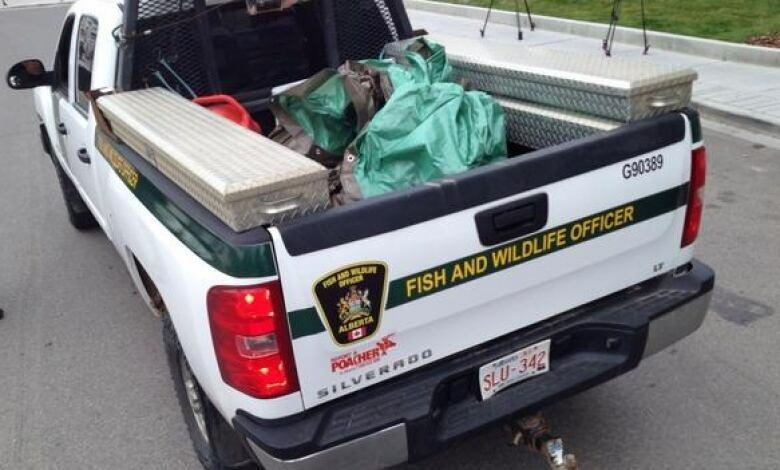 After spending several hours keeping the animal contained to an area around the south side of the complex, a provincial wildlife officer shot the cougar with a rifle. "In other situations, if it was in a tree, that would be a lot safer," said Brendan Cox with Alberta Justice, which oversees Alberta Fish and Wildlife. He said the original plan was to tranquilize and relocate the male, adult cougar —​ but that changed. "The cougar had a lot of adrenaline, the drugs likely wouldn't have worked and then the cougar would have become agitated by the dart and could escape and make its way to a more populated area," said Cox. Several witnesses were upset the cougar was killed. Jennifer Milton watched the incident from inside the hospital where the three shots that killed the animal could be clearly heard. "It was just snoozing in the grass," she said. "When they shot it, I thought they tranquilized, but I guess they didn't … Seeing an animal shot like that is heartbreaking." Others sympathized with officers trying to handle a large cat on the loose. Alberta Fish and Wildlife officials say they have received numerous complaints about how the situation was handled. Calgary Police Service tweeted after the incident that its role was containment and public safety, and wildlife officers were in charge of animal handling. 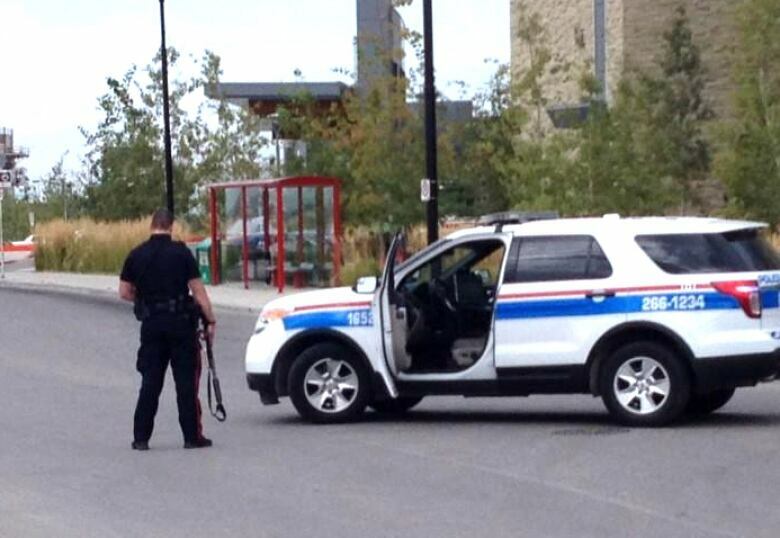 Calgary police were the first at the scene. It took another couple of hours before wildlife officers arrived. "The officers weren't on shift at that time but they are available to respond to emergency situations like this," said Cox. "And they did arrive as soon as they could. One officer even came from the Strathmore district, which is some distance away, so it took him a little while to arrive on scene." The union that represents Fish and Wildlife conservation officers is not surprised about how long it took for officers to get to the scene. Mike Dempsey, with the Alberta Union of Provincial Employees, says the department has been chronically understaffed for more than a decade. "Close to 20 years ago there were 140 or so Fish and Wildlife officers available to deal with situations like that," he said. "And today there's under 100." Dempsey says the Calgary office is also short two officers right now. He says lack of staff means officers have to be on standby more often to respond to emergencies. The animal has since been removed from the scene. Police cordoned off that part of the hospital building, and patients and staff were directed to use the north entrance while they waited for wildlife officers to arrive on scene. EMS officials said ambulance access to the hospital was not affected. Officials were looking for a second cougar that was reported to be nearby, but it's now believed it was the same animal seen at the hospital. Witnesses said it was spotted in a stairwell of a new hotel being built on Market Street S.E., which is located across from the hospital. Eric Pollhaus, a construction worker at the site, said he and his colleagues managed to get the animal away from the building. “It was backed into the corner in a parkade. And it was just running around, ran back out, came in again. And then it started running around and we just chased it out,” he said. WARNING GRAPHIC CONTENT: The YouTube video of a cougar being shot below is extremely graphic.